Get yours in over 15 flavours, with delicious favourites including Blue Raspberry and Watermelon. When to take Essential BCAA 2:1:1? 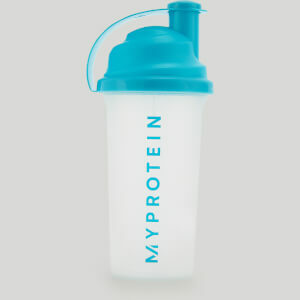 Add 2 scoops (5g) to 250-350ml of water or juice in a shaker before, during or after exercise, so make sure you’re prepped for your next gym session. What does Essential BCAA 2:1:1 work well with? For a hard-hitting shake that will support your fitness goals, add a scoop of Essential BCAA 2:1:1 to our Iso:Pro Whey Protein, which has been specially purified to deliver 90% protein and just 1% fat. For tasteless it's one of the best. Most BCAA blends is different from brand to brand. Each with there own packing and supplier leaves distinct flavors from one brand to the next. This one currently stands closest to tasteless. However, as with most BCAA unflavoured blends results in a bitter after taste left undesirable. So as a given, would recommend throwing into your favourite drink containing sugar free derivatives or the likes, fats like yogurt, shakes, cold or hot cereal alleviate the bitterness that comes with the powder if consumed together. Because of it's high mixability due to BCAA's miscible chemical properties allows for these alternative means of consumption. If you plan to hash a scoop of dry powder like how it is with the current fitness meta, I wouldn't, no one prefers it and consuming large quantities is less beneficial vs. taking a bit at a time like with food. Flavoured beverages, Yogurt, Protein Shakes (some already contain your BCAA's try to not overlap, your wasting money) in the end your protein will get broken down into the likes but use your own judgement. Cold or hot cereal, cottage cheese, eggs (surprisingly, if mixed into a scramble of course). Wow, these are so delicious. Cola is so good, raspberry licorice is pretty bloody weird, maybe after a while it may get too much. It’s got thing tongue numbing quality... you won’t be able just to mix it in really needs an epic shake. But yeah, really happy!! I ordered Strawberry & Lime in the 250g pack and wish I had of got the 1kg. I'll be ordering more to have it at work, gym and home. This flavour is the perfect balance to add some flavour to water without being too sweet. 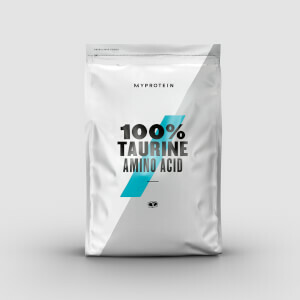 It will certainly help me stay hydrated, together with the benefits of amino acids. The BCAA mix very easy, just the only thing would be the taste, it tastes a lot like chemicals, very artificial but it is definitely bearable. Will have to try another flavour. Ideal core ingredient for a guilt free frozen drink, like the calorific ones they sell at fast food stores. I also use plenty of lemon juice as a detox / pH enhancer. One generous (i use a pint) glass of ice, a scoop or two of your favourite BCAA, a little water for blending, and offset any excessive sweetness with lemon juice to taste - giving it that zestyness. It all depends on your blender, palate, and ingredients on hand. After one or two attempts I had it down to my preference. I bought both the watermelon flavour and the blue raspberry. I do say that I agree with other reviews on the mixability of the BCAA. I let mine sit for 5 mins while the powder breaks down. But they’re both really fab flavours, especially watermelon. I’ll be repurchasing watermelon but not the blue rasp. Good but not again. Thought I’d give the BCAAs a go. This is really hard to mix with water at first. Does better if you let it sit for a while but it seems quite hydrophobic. Found that it makes liquids really thick if you use the suggested amount, so I’ve resorted to using about 1/2 a scoop with about 700ml of water to make it drinkable. The flavour is also ridiculously strong. I got the blue raspberry and if you like your drink tasting like liquid candy, it’s certainly the one for you. I bought the unflavoured version thinking it would be good to mix in with my protein shake post gym - I can tell you it is definitely no unflavoured. It made my usually very sweet chocolate protein shake unpalatable. Then I thought maybe I could salvage it by mixing it with a very small amount of water to have a "shot" and get it over and done with - it appears to be hydrophobic similar to that magic sand that just doesn't get wet. All in all I have no idea if it works but would highly recommend getting a flavoured version to mask the extremely strong bitter/chemical taste. Great mixability and amazing taste. Was surprised by how good this product was at the price. Compared to other more expensive brands and products, this stacks up to them well.